Abstract—Distance education has two modes: television teaching and internet teaching, both of them have disadvantages in lack of system expansion capabilities and scalability. However, cloud computing can integrate all the distance education systems into a “cloud” system, the concept introduced in this paper is to apply cloud computing to distance education management system design, and the system employs technologies of application virtualization, improves resource utilization rate, achieves the demand for large capacity distance education, large population, strong sharing ability, hence the effectiveness of distance education management is obtained. The test shows that this system has made significant progress in education service capability, resource sharing, configurability and scalability when compared to conventional system. System which based on cloud computing has greatly changed the philosophy and operation of distance education, improves the entire level of distance education management. Index Terms—Cloud computing, distance education management system (DEMS), improvement, management level. 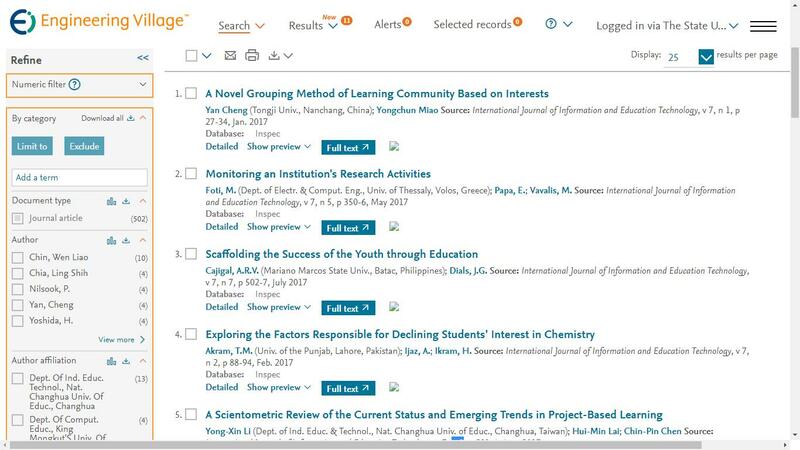 Cite: Li Yi Qi, Li Xin, and Feng Jian Li, "Study on Transformation of Distance Education Management by Cloud Computing," International Journal of Information and Education Technology vol. 2, no. 6, pp. 591-594, 2012.